However, there are some types of drinks which are actually beneficial when consumed moderately and one of them is red wine. 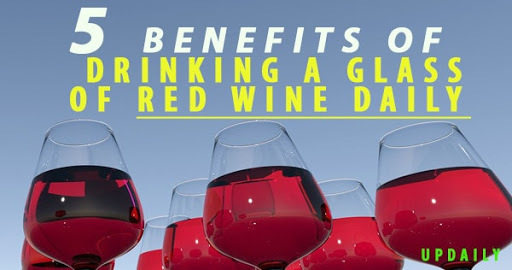 Here are some of the good reasons why you should end your day with a glass of red wine. 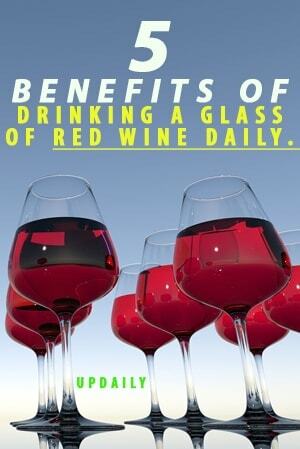 Health Benefits of Drinking a Glass of Red Wine. A study conducted in Spain has found that the grapes used in red wine have a significant effect on lowering down cholesterol levels, specifically the bad cholesterol. Bad cholesterol is the one that gets deposited in the artery walls and prevents the natural flow of blood. It stiffens the arteries resulting in the rise of blood pressure which can eventually cause a heart attack. This one is for the diabetics. When you drink a glass of red wine, you regulate your blood sugar better because of the resveratrol, a compound naturally found in red wine. Resveratrol also aids in decreasing cholesterol levels and systolic blood pressure. It is the same compound, resveratrol, that can keep a person’s memory sharp and this is according to a New York scientist Philippe Marambaud. It can also help slow down the memory degeneration of people with Alzheimer’s disease. Who does not want to lose weight? When people have been searching for all the secrets to losing weight fast, red wine comes to the rescue. Resveratrol prevents the growth of fat cells and that is why they say that a glass of wine is equivalent to an hour at the gym. 5. Lower risks of cancer. According to another research, a few glasses of wine in a week can be enough to prevent the growth of cancer cells because resveratrol inhibits the protein that feeds the cancer cells. These are just a few of the several benefits that you can get from drinking a glass of wine daily. You may want to start your daily wine habit today but make sure to always drink moderately, because too much of something is always bad.